Posted in: Uncategorized. Tagged: New Releases, RC. The team over at Horizon Fuel Cell Technologies recently unveiled i-H2GO. 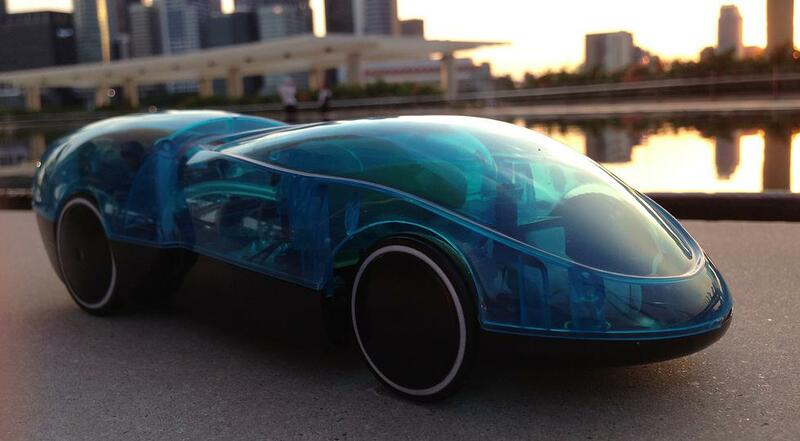 This small car is controlled by Wi-Fi using an app on the user’s iOS and soon Android mobile device. 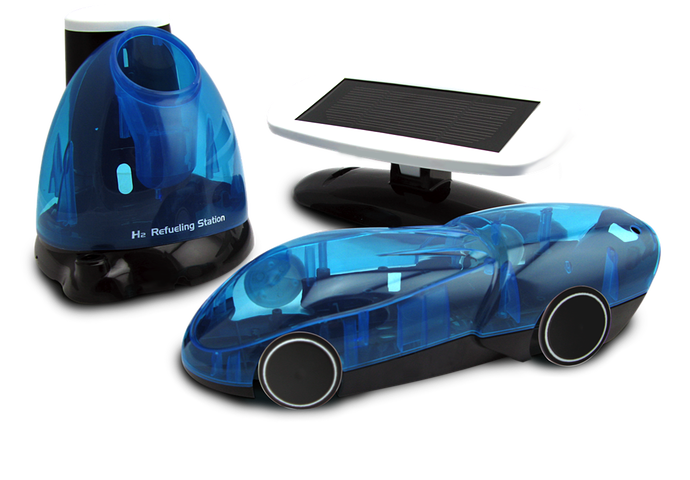 i-H2GO throws away the batteries and powers itself off of a real-working miniaturized hydrogen fuel cell. You simply pour regular water into the solar powered refueling station, which electrolyzes water, separating it into its two main parts, hydrogen which will be sent to the car and oxygen which is released into the air. I will also tell you that the refueling station can be powered by your laptop if the sun isn’t shining. You can now pre-order your kit at a price of US$179.99. i-H2GO is scheduled to ship on August 15th. For more details head on over to Horizon Fuel Cell Technologies. This is very cool and looks good for renewable energy. To see for yourself, check out their video below. A hydro powered R/C car! First I have ever seen, very cool!